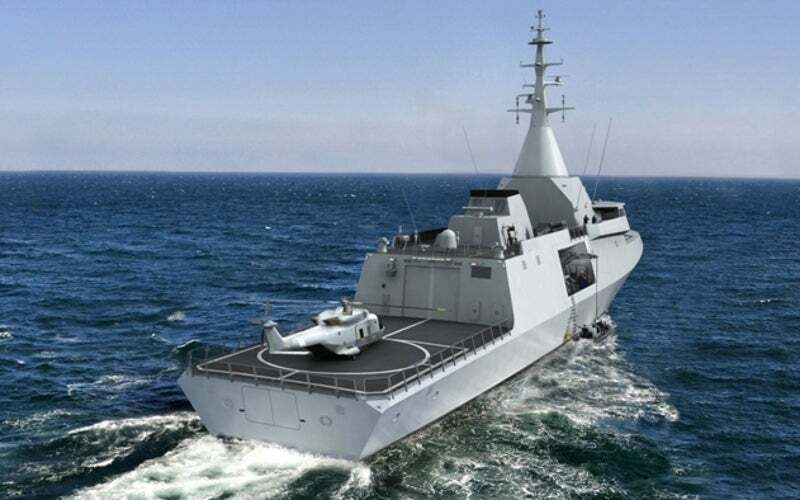 Gowind® 2500 corvettes have been ordered by the Malaysian and Egyptian navies. Image courtesy of DCNS Group. First metal was cut for the first Gowind 2500 corvette being built in Egypt in April 2016. Image courtesy of DCNS Group. First hull block of Gowind 2500 corvette being laid in the dry dock at DCNS Lorient shipyard. Image courtesy of DCNS Group. The corvette can perform complex naval missions, including anti-air warfare (AAW), anti-surface warfare (ASuW) and anti-submarine warfare (ASW), as well as low-intensity operations such as maritime security, surveillance and patrol missions against trafficking and piracy. DCNS Group received the first contract for Gowind® 2500 from the Royal Malaysian Navy in 2014. The contract also includes a technology transfer agreement for the construction of six corvettes at the Boustead Naval Shipyard in Malaysia. The Egyptian Navy entered an agreement with DCNS in June 2014 for the design and construction of four Gowind® 2500 corvettes. The contract also includes a technology transfer agreement for building three units at Alexandria Shipyard in Egypt. The first vessel was built by DCNS in Lorient. DCNS cut the metal for the first corvette at Lorient, in April 2015. The vessel was launched in September 2016. Deliveries of all units are scheduled to be completed before 2019. First metal was cut for the first Gowind® 2500 corvette being built by Alexandria Shipyard in Egypt, in April 2016. Alexandria received supervision and technical aid teams from DCNS to support the construction of three corvettes. DCNS also delivers training services at its Lorient shipyard for the workforce of Alexandria Shipyard. The technical data and essential components will also be delivered to the Egyptian shipyard to conclude the construction of the corvettes. The Gowind® 2500 is a steel mono-hull vessel offering superior stealth capabilities. Its low-acoustic signature and radar cross section avoid easy detection by hostile platforms, making the corvette stealthier than other vessels in its class. The vessel allows the integration of multiple mission modules to meet emerging operational requirements of the users. The corvette has a length of 102m, beam of 16m, depth of 5.4m, and displacement of 2,500t. It can complement a crew of 65, and 15 Special Forces. The Gowind® 2500 corvettes incorporate the SETIS combat system, which is also in service with FREMM frigates. The intuitive man-machine interface and integrated command prompts enables the crew to analyse large amounts of data fed by onboard sensors and allows them to take quick counteractions against wide range of threats. The combat system also supports the integration of unmanned aircraft system (UAS) for extended detection and response against threats. The system is capable of conducting engagement of surface vessels, defence against aerial platforms, detection and tracking, and engagement of submarines. It can also share the accurate tactical picture with other vessels in the task group through interoperable data links. The corvettes will be armed with an OTO Melara 76mm main gun, two Nexter Narwhal 20mm cannons, a vertical launch system (VLS) for 16 VL Mica surface-to-air missiles, eight MBDA MM40 Exocet anti-ship missile launchers and two triple torpedo launchers. "The Gowind® 2500’s low acoustic signature and radar cross section avoid easy detection by hostile platforms, making the corvette stealthier than other vessels in its class." The onboard sensors and radars include a 3D radar, electronic support measures (ESM) suite, a hull-mounted sonar, a variable depth sonar (VDS) and a fire control system. The vessel features a helicopter deck for allowing the permanent deployment of a 10t heavy-lift helicopter and unmanned aerial vehicles (UAVs). It also provides a hangar facility for embarked helicopter. The Gowind® 2500 is powered by combined diesel and electric propulsion system. The power-plant provides a maximum speed of more than 25kt. The corvette can attain a range of 4,000 nautical miles (nm) at speeds of 15kt.